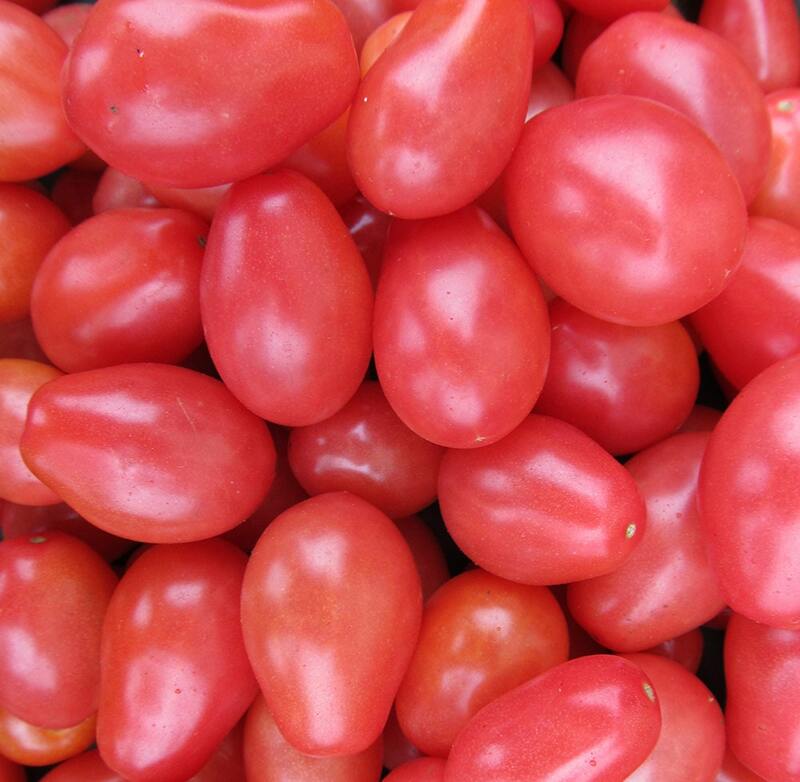 A ruby pink grape tomato shaped more like a blocky pear, Wheatly’s really is resistant to light frosts. At 30 degrees it will tip-burn, but the fruits are undamaged and continue to ripen while other tomatoes are blackened skeletons all around. It’s resistant to cracking too. The texture is smooth and almost creamy, and the taste is pleasing.